I really enjoy reading novels where the two main characters get married because of convenience. I love watching them fall in love in the context of marriage. I connected a lot with Maggie because of all she had lost. She and I both grew up with four brothers and although I haven’t lost all four of my brothers like she did, one of my brothers died last August, so I can feel along with the pain of losing a brother. The whole book pulled at my heart strings, from the death of loved ones, the racist society responsible for lynchings, the possibility of losing the family farm, and the relationship between Maggie and Cullen. Because of the time period this book was written in and the culture of that time, there are some words that may offend some people but I thought they brought authenticity to the setting, without going overboard. The minute she steps inside the grand Inn at Ocean’s Edge, Claire Dellamare knows something terrible happened there. She feels it in her bones. Her ensuing panic attack causes a scene, upsetting her parents. Claire attempts to quiet her nerves with a walk on the beach, to no avail. She’s at too great a distance to make out details, but she believes she witnesses a murder on a nearby cliff. When local police find no evidence of foul play, they quickly write off the “nervous” woman’s testimony as less than credible. But Luke Elwell, home on leave from the Coast Guard, has reason to believe Claire. Years ago when his mother went missing, Luke’s father suspected she’d been murdered. He died never having convinced the police to investigate. So when an employee of the grand hotel doesn’t show up for work, Luke steps in to help Claire track down the missing woman. As Claire and Luke put together the pieces of a decades-old mystery, they discover that some family secrets refuse to stay buried. And some passions are worth killing for. I’ve always loved Colleen Coble’s books, ever since I read her Aloha Reef series close to ten years ago, and this book is probably one of my favorites. I love when there are twists and turns in books that I didn’t see coming, which doesn’t happen much anymore. Even though, I knew who the killer was fairly early on in the book, there were many twists that kept me guessing. The characters also drew me in and kept me rooting for them. The romance element was nice as well, and it didn’t take too much of the attention away from the suspense and the plot twists. I also loved that Colleen Coble included an orca into the story. I’ve loved orcas since I was young so I enjoyed reading about the orca. It’s not a huge part in the story but I enjoyed it nonetheless. After seven years as a Chicago homicide detective, Lisa Grant has hit a wall. Ready for a kinder, gentler life, she takes a job as a small-town police chief. But the discovery of a human skeleton by a construction crew at the edge of town taxes the resources of her department. A call for assistance brings detective Mac McGregor, an ex-Navy SEAL, to her doorstep. As they work to solve the mystery behind the unmarked grave, danger begins to shadow them. Someone doesn’t want this dead person telling any tales—and will stop at nothing to make certain a life-shattering secret stays buried. 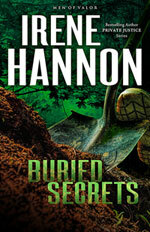 Buried Secrets by Irene Hannon is an inspirational romantic suspense novel that places a focus on the romance. This fast-paced novel contains a few faith elements, but it is not preachy or overwhelming. 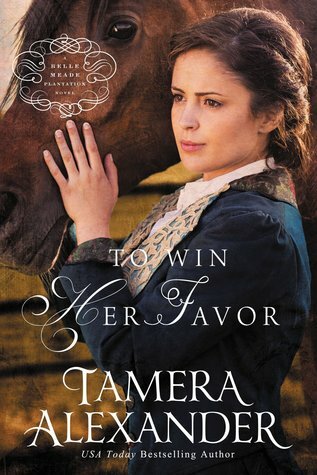 I didn’t connect as much with the romance aspect of this book as much I have in some of Hannon’s other works. I thoroughly enjoyed the suspense and the complex killer that was drawn out. The suspense kept me turning the pages until I had finished the pages. I connected with Mac in his relationships with his brothers because of my relationships with my brothers. Overall, I enjoyed this novel and look forward to hearing the stories of Mac’s brothers.